Councilman Henry Naylor defends his representation. Forrest County Supervisor Rod Woullard took the podium and walked the audience on a good old-fashioned southern stroll of how (TEN YEARS AGO) he felt Naylor snubbed him in the redistricting process back in early 2000s, and it only digressed into personal attacks by Mr. Woullard. 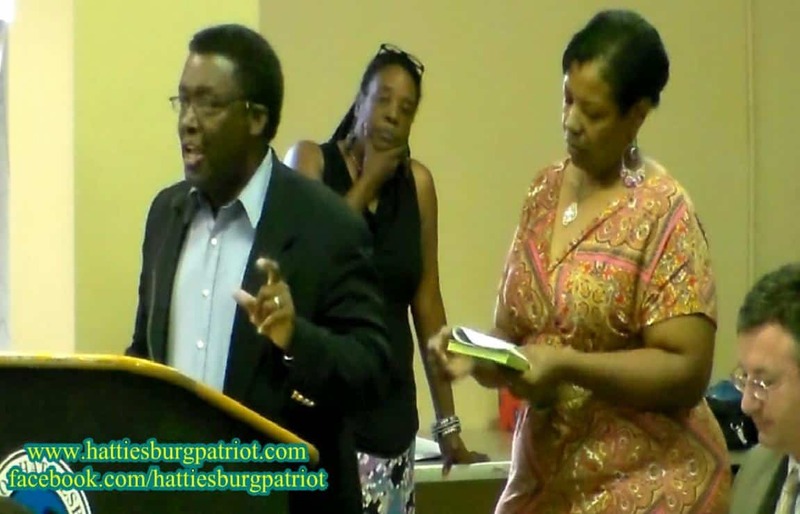 Subsequently, an unknown member of Councilman Naylor's ward continued the attacks and direct questioning, before councilman Naylor took to his feet and commanded the podium. At one point Naylor made sure Woullard wasn't slipping out without hearing his response. Woullard then re-approached, and as the dialogue continued, Woullard regressed into ancient history and his personal issues. The crowd began sighing and moaning, inviting Mr. Woullard's departure. The first 10 minutes of this video is Mr. Woullard explaining how he was wronged 10 years ago by Coucilman Naylor. This is funny in one regard and sad in another. A councilman has to have permission from other councilmen to address his constituent’s question…WOW. Yes, these things have the propensity to get out of hand once personal attacks start. Mr. Naylor took it on the chin, but it was both he and Dave Ware who put together a very fair plan BI-RACIAL plan that addresses the general concerns of the African American Community. Ken Fairley put the word out he had a new plan that addressed other people’s concerned with his first plan, but he never delivered. This is funny in one regard and sad in another. A councilman has to have permission from other councilmen to address his constituent's question…WOW. Yes, these things have the propensity to get out of hand once personal attacks start. Mr. Naylor took it on the chin, but it was both he and Dave Ware who put together a very fair plan BI-RACIAL plan that addresses the general concerns of the African American Community. Ken Fairley put the word out he had a new plan that addressed other people's concerned with his first plan, but he never delivered.